Since online gambling games started to gain their popularity, the question about legality arose. Most countries don't have gambling prohibition laws which ban people from playing online casino games. However, some countries' governments have some jurisdictions of banning online gaming. Gambling law is a set of regulations that are related to the gambling games industry. It is not what we can refer to the traditional understanding of law. 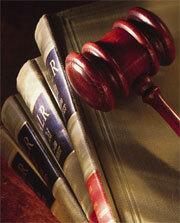 It is a range of different legal topics which are connected with gaming. All these rules and regulations described from the different brunches of law point of view: criminal, contract, tax, company, constitutional and administrative laws. In the US illegal gaming is prosecuted at law as a Federal Crime (as a business). But all states have their own laws of the gambling prohibition and regulation. In September 2006 US Unlawful Internet Gambling Enforcement Act came into force. In fact, according to this act US online gambling is not illegal but all financial institutions' gambling transaction are. The implementation of this act caused difficulties with depositing and withdrawing of winnings for many US online casino players. But still, there some internet casinos which accept their players according to their location and offer rather alternative payment solutions which allow gamblers to deposit and to withdraw their money. If you are looking for American friendly online casino, you can read casino reviews which usually contain the information about US players' acceptance by this or that online casino. All online casinos are powered by some software supplier. And software of online casinos with disallowing geographic locations policy usually has certain safeguards which guarantee that players from online gambling banned countries have no access to site's registration. To say the truth, probability of somebody being persecuted for online gambling by legal bodies is rather remote. But of course, it is very important to remember about responsibility one takes upon for his/ her decisions.